Dwayne Wade Fantasy Camp and The Single Best Tip to Avoid Low Back Pain at Work. Phew, I’m coming down off an adrenaline high. The 5th annual Dwyane Wade Basketball Camp was last weekend right in our backyard at the Diplomat hotel in Hollywood. I’ve worked as the on-site chiropractor for the last 4 years. Basketball lovers fly in from all over the country for three days of tournaments, special events, seminars and the chance to learn from the pros! I work court-side treating sports injuries and helping to improve athletic performance. Picture a dream-scenario sports camp of interesting people, pro athletes, celebrities, terrific sponsors and killer music. 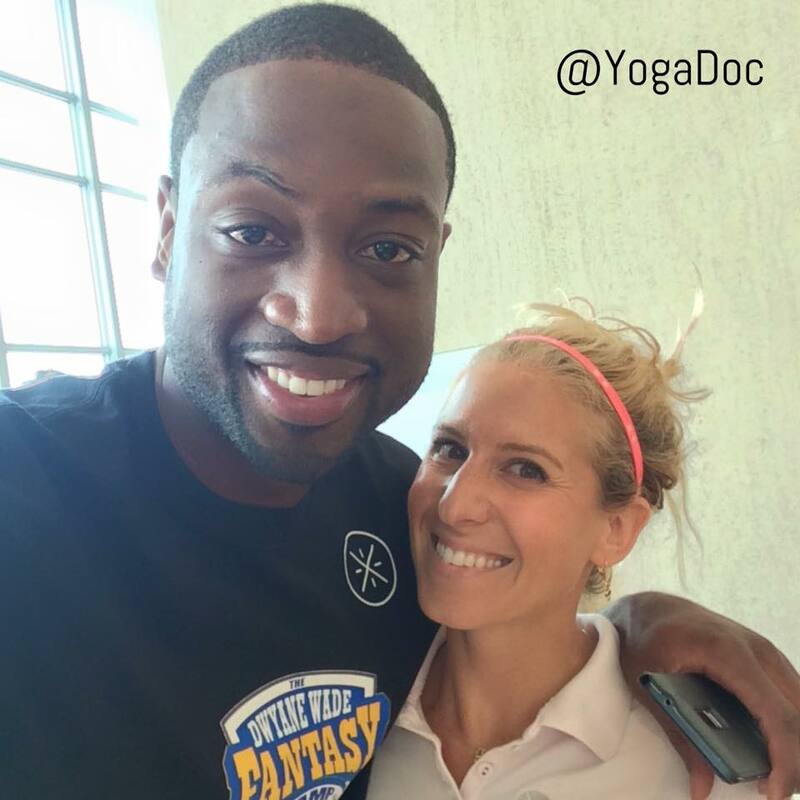 Our 4th year as on-site chiropractor for the Dwyane Wade Fantasy Camp. But first, let me take a selfie. You guys know me well enough by now. I have low back tips for days! Like what you heard? For more info visit us in Aventura!